Introduced this year, the new Waldorf Astoria Driving Experiences offer hotel guests an exclusive opportunity to test drive some of Lamborghini’s latest models at participating Waldorf Astoria properties around the world, including Dubai. 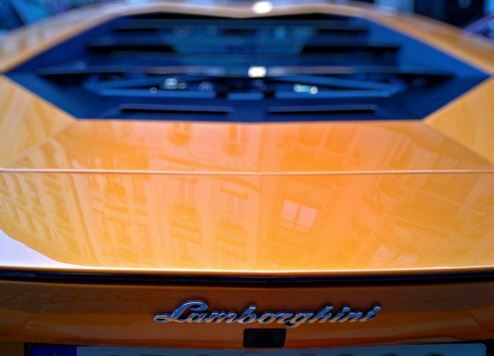 Each hotel will host 30-minute sessions over a three-day event, which will be led by Lamborghini’s professional driving instructors. At each destination, customised driving routes will be created to allow guests to accelerate down the most notable roadways while zipping past top attractions and iconic landmarks. In 2017, the Dubai-based experience will take place at Waldorf Astoria Palm Jumeirah from November 16-18 during the iconic Dubai Motor Festival. Jumeirah Al Naseem, the newest hotel addition to the Madinat Jumeirah leisure and entertainment complex, has teamed up with one of Britain’s most successful cyclists, David Millar, to bring the much-acclaimed ‘Ultimate Pro-Cycling Experience’ to Dubai. The experience, which originated at Jumeirah Port Soller in Mallorca, has now expanded to Dubai due to its incredible success. To ride alongside David Millar (the former GB captain) is a once-in-a-lifetime opportunity. The experience also includes a personalised Castelli kit. Riders can then unwind at the end of the day at Madinat Jumeirah’s 2km pristine private beach, or in the luxurious Talise Spa, before settling down for dinner hosted by David Millar at one of the resort’s 60-plus restaurants. The ‘Ultimate Pro-Cycling Experience’ will take place from October 10-14. Exclusive packages include a four-night stay for two people at Jumeirah Al Naseem. UAE-based shopping mall operator Majid Al Futtaim has announced plans to launch the region’s first cinema-themed concept at Aloft Dubai City Centre Deira. Developed in collaboration with Marriott International, the property, which is due to open early next year (2018), will feature a cinematic-themed floor of 25 standard rooms and four suites. The rooms will offer a large collection of movies, TV screens, projectors and enhanced sound systems, so guests can indulge in a world-class cinema experience. For the ultimate movie-inspired stay, there will be four suites based on blockbuster movies with themes ranging from comic superheroes to super spies and Bollywood. The hotel will also house an all-season Outdoor VOX Cinema and multifunctional event space. Apple has officially opened its third retail outlet in the UAE. The new store is located at the Dubai Mall and represents the company’s 495th outlet globally. Apple already operates branches in Mall of the Emirates in Dubai and Yas Mall in Abu Dhabi, which combined have attracted four million visitors in just 18 months. The new Dubai Mall store is adjacent to the world-famous Dubai Fountain. Art Jameel, a non-profit organisation that supports arts, education and heritage in the Middle East, has revealed several initiatives designed to enrich Dubai’s already thriving cultural scene. They include the development of the Jameel Arts Centre Dubai, which when it opens next year (winter 2018), will present curated exhibitions from the Jameel Art Collection, as well as regional and international solo and group shows. The three-story centre will cover some 10,000 square metres and is being designed by UK-based firm Serie Architects. It is hoped the facility will also become a hub for educational and research initiatives. At the same time, Art Jameel has forged a long-term partnership with New York’s Metropolitan Museum of Art. This will enable the museum to acquire works by modern and contemporary artists from the Middle East, including Dubai.